The Witcher 3: Wild Hunt 1.03 patch is now live on Steam and GOG. Developer CD Projekt says the update improves both stability and performance, and adds additional graphics settings as well. The release of the patch follows comments made by CD Projekt co-founder Marcin Iwinski, who hinted that future updates to the game could enable improved visual quality. 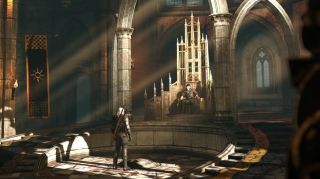 The statement came in response to complaints that the game's graphics had been downgraded from what had been shown in a 2013 promotional trailer. Graphically downgraded or not, The Witcher 3: Wild Hunt is by all reports an outstanding game. Read our review to find out why.